Move in day is coming up fast and trust me when I say that these last few days before you leave for school will fly by. After four years of college (and a fifth starting soon) I’d say I’m pretty much an expert on all things dorm. 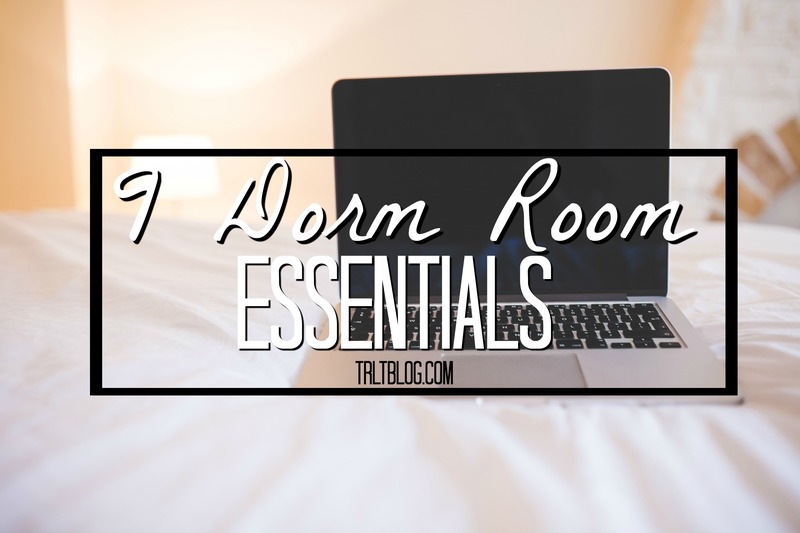 Today, I’m sharing 9 Dorm Essentials that you will definitely need while living away from home! Bedding is super important and ties together your whole room. You can base your whole theme off of your bedding. Although I love the look of white bedding (and used it my junior year) it isn’t the best for a dorm room. You will spill things on it, you will forget to take off your makeup before you nap and it will get all over it. Stick to something with a cute pattern and pretty colors! Brita for water is essential, guys! Trust me. When your dining hall closes and you’re extremely thirsty you will be so grateful to have cold, fresh, and clean water! If you are going to use a shower caddy, make sure it is a plastic one! The fabric ones take forever to dry and aren’t as easy to clean as the plastic ones. Tupperware is a life savor. I would always use it to store leftover veggies from the dining hall that I could snack on throughout the day/night. I’ve been sleeping with a fan on for as long as I can remember and have been using this exact one since my freshman year. I love it and it keeps me cool at night. A place to hang your keys and leave your mail is really handy. You will never lose your keys if you remember to hang them up! Obviously, you will be doing your own laundry, so you will be needing a laundry hamper to collect all of your dirty clothes. Get one with handles so it’s easy to carry back and forth from the laundry room to your dorm room! A small trash bin is perfect to store under your desk so you can throw away papers and whatever else you have in your room. However, I suggest not throwing food away in your small waste basket because it will make your room smell. And lastly, storage is always needed! These three drawer bins can fit under a lofted bed and are perfect for pretty much anything! Invest in bins and baskets to store all of your little items! What else do you think you will need in your dorm room?! Comment some of your essentials down below!